DMC Medical has developed a new and exciting range of copolyester syringes with advanced features. This material offers many advantages such as BPA free (Bisphenol A) improved chemical & lipid resistance, glass like clarity, toughness and suitable for both EtO & radiation sterilization. Available in luer lock 1ml, 3ml, 6ml, 10ml, 20ml & 30ml with seven different plunger color variations. 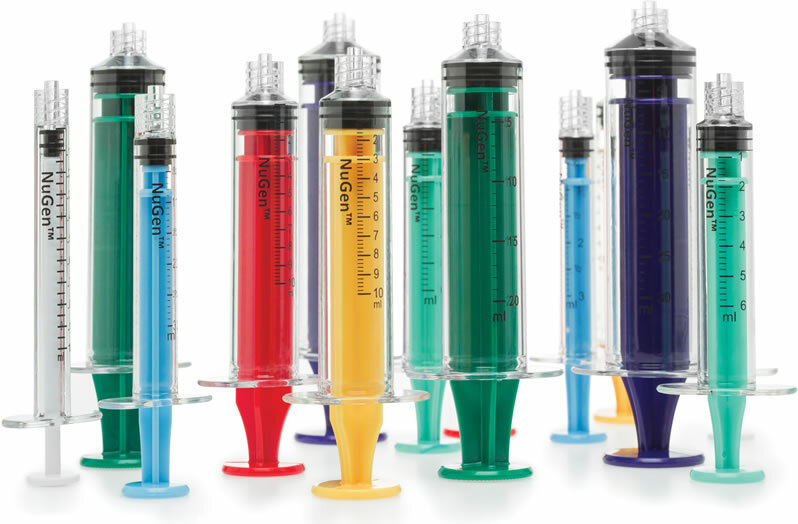 Supplied bulk non-sterile the NuGen™ syringe is manufactured in accordance with ISO 13485.